Flagship Phones are Great- Let’s Check Out the Best Ones….. Updated – February 2019 – We have listed the best high-end smartphones that money can buy in this article and have tried to answer why you need to buy a flagship mobile. In the age of Xiaomi, Lenovo, Motorola offering amazing mobiles with good specs and experience, lots of people are downgrading to cheaper phones. Should You Spend 50K or More on a Flagship? Do you need to spend that much amount of insane money on a 50K smartphone like iPhone 8 or Samsung S9 or the new Pixel 3? I bet you do, if you want your device to be premium, more capable than anything in the market, and an added pleasure of owning something which most folks can’t have. It gives you the exclusivity and a status symbol too along with having the latest and great tech from Apple, Samsung, LG, HTC Sony or Google. It is a way of life for the enthusiast to have the best of technology with the latest updates from Google and Apple, it means much more to us than any regular user. I don’t buy anything else for myself other than flagships from the best brands; I am a fan of both Android and iOS. It is difficult for people to move from Android to iOS and vice versa because most of them are invested in one of the ecosystems too much. Enthusiasts like to try new things, I had used the Google Nexus 5 for almost 2 years before that had the Samsung S2 and now using the Zenfone 5Z. I am also planning an upgrade to Pixel 3XL or the Samsung S10 in 2019. Also, I wrote about the best phones to buy for 40K; you can read that article later. Let’s Get started with 12 Best Smartphones Under Rs 50,000 in India. The Samsung S8 was launched in March 2017 and is a flagship mobile from Samsung. The S8 comes with a display size of 5.8 inches with a QHD+ resolution (2960*1440 pixels) having PPI of 570 pixels per inch. Notably, the Samsung S8 comes with a Bezel-less display with 18.5:9 aspect ratio. The Samsung S8 is one of the best-designed phones with Infinite display and offers excellent camera quality. The Samsung S8 comes with a f/1.7 aperture single rear camera which was also used last year on the Samsung S7 Edge. Samsung S8 price in India starts from Rs. 57,900, which is slightly above our threshold of Rs. 50,000. The S8 is coupled with 4 GB of RAM with 64 GB of internal storage which can be expanded 256 GB via micro SD card. The Indian version of the Samsung S8 is powered by the Exynos 8895 processor from Samsung clocked at 2.35 GHz. Processor – Exynos 8895 Octa-Core (India) or the Qualcomm Snapdragon 835 (USA). GPU – Mali-G71 MP20 (India)- Adreno 540 – USA & China. Screen Size – 5.8 inches with QHD+ (2960*1440), 570 PPI. Dual Sim –Yes, Hybrid Sim Slot. Operating System – Android Nougat 7.1 upgradable to Android Oreo 8.0. Finger Print Scanner – Yes Rear Mounted. Storage – 64 GB internal Storage – expandable to 256 GB. Battery Capacity – Non-removable – 3000 mAh capacity. Supports – Fast Charging, Wireless Charging. Oneplus has launched its latest flagship mobile – Oneplus 6T (read all details), in November 2018. The phone comes with nifty features like the under display fingerprint scanner, water drop notch and the latest Android Pie update. 6 GB RAM + 128 GB Storage for Rs. 37,999. 8 GB RAM + 128 GB Storage for Rs. 41,999. 8 GB RAM + 256 GB Storage for Rs. 45,999. The Oneplus 6T looks gorgeous with a stunning design, made from glass, which is quite glossy, yet elegant. The mobile comes with a water drop notch and has a USB type C port, and misses on the 3.5 mm headphone jack. The 6T boasts of a large 6.41-inch display with a resolution of 1080 x 2340 pixels which further results in 402 PPI. It even comes with the latest Corning Gorilla Glass 6. The phone comes with the same set of cameras as the OnePlus 6. It has Dual rear cameras with 16 MP + 20 resolution and has a f/1.7 aperture. The camera can support 4K video recording and even has EIS and OIS support. OnePlus 6T comes with new camera software update allowing it to have portrait lighting and nightscape(improved low light imaging). Also, at the front, there is a 16 MP, Sony IMX 371 sensor, which is great for clicking selfies. Under the hood, there is Octa-Core Qualcomm Snapdragon 845 chipset along with Adreno 630 GPU. The device boots Android Pie 9.0 and offers fast and fluid user experience. Overall, the 6T is a great phone and for the price is a good deal. Display – 6.41 inches Super AMOLED FHD+ (2340×1080) pixels resolution. Dual Rear Camera – 16 MP+20 MP with f/1.7 aperture size, support for 4K video recording. Front Selfie Camera – 16 Megapixel camera with f/2.0 aperture. Operating system – Android Pie 9.0 with Oxygen OS. Storage – 128/256 GB internal storage, non-expandable. In-display Fingerprint Scanner – Yes. No Water and Dust resistant or Wireless Charging. USB Type C – Port. Colors – Mirror Black and midnight black. Lg launched the G7+ ThinQ in August 2018 and it comes with water and dustproof design and has a stunning 19.5:9 aspect ratio bezel-less QHD+ display. The mobile is available for Purchase from Flipkart for a price tag of Rs. 40,000 for the 6 GB RAM /128 GB storage version. The phone comes with a glass back design and with Dual rear cameras, and a rear-mounted fingerprint scanner. At the front, it has a notch, a bezel-less 6.1 display with an impressive QHD+(3120 x 1440) Pixels. Also, the phone comes with great audio from speaker and 3.5 mm headphone jack, has a Quad-DAC for impressive sound. Overall, the G7+ ThinQ is an impressive alternative to the Oneplus 6T in the 40K price range. In comparison to the Oneplus 6T, it has a higher resolution display, water and dustproof design, 3.5 mm headphone jack, and wireless charging support. Overall, the G7+ ThinQ is a good phone, the battery capacity (3000 mAH) and lack of quick software updates from LG are the low points. Display – 6.1 inches, 19.9:5 aspect ratio, Super LCD Quad HD+ with (3120×1440) resolution with 567 PPI. Dual Rear Camera – 16 MP + 16 MP with f/1.6 aperture size, OIS, support for 4K video recording. Front Selfie Camera – 8 Megapixel camera with 80-degree wide angle lens. Operating system – Android Oreo 8.1 with LG UX. Superior Audio uses Quad-DAC and DtX. Water and Dust resistant with IP 68 rating. Fingerprint Scanner at the back. Related Article – 5 Best Phones with 8 GB RAM. 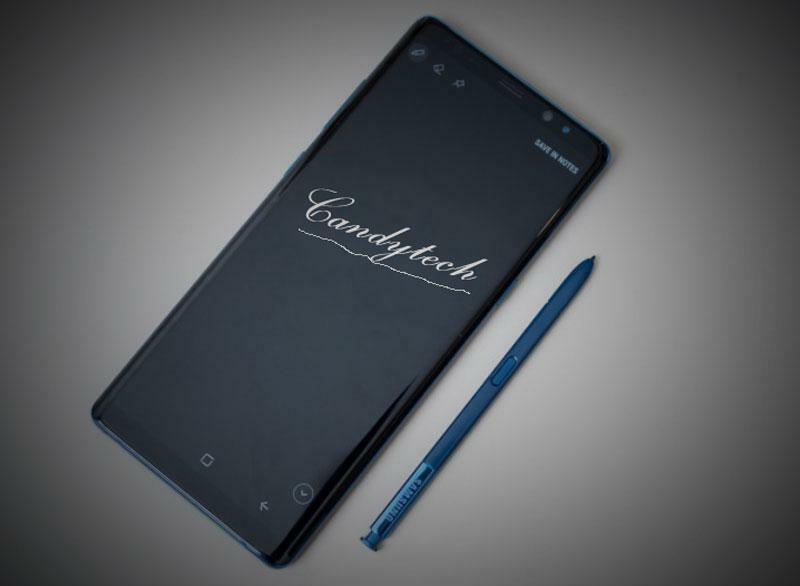 The Samsung Galaxy Note 8 latest addition and is launched in August 2017. The Samsung Note 8 is available for a price tag of Rs. 65,000. The key highlight of the Samsung Note 8 is it’s dual rear camera setup. It is the first phone from Samsung with the Dual camera module. The Note 8 has a 12 MP Dual rear camera with a standard lens with f/1.7 aperture while the telephoto lens comes with f/2.4 aperture. The Samsung Note 8 has a Bezel-less display with 6.30-inch screen size and comes with QHD+ resolution (2960*1440) pixels (521 PPi) pixel density. The Note 8 is powered by 2.35 GHz Octa-core Qualcomm Snapdragon 835 processor or the Exynos 8895 (India) and is coupled with 6 GB of RAM. The phone comes in three variants having internal storage of 64/128 and 256 GB all with 6 GB of RAM. As usual, the Note 8 also comes with S Pen with some upgraded features to improve productivity. The Galaxy Note 8 runs Android Nougat 7.1 out-of-the-box with a planned upgrade to Android 8.0 Oreo, later this year. The mobile is fueled by a 3,300mAh battery with fast and Wireless Charging support. Screen- 6.3 inches Super AMOLED display QHD+. Screen Protection- Corning Gorilla Glass 5.0. Processor- Octa-Core Exynos 8895 or Qualcomm Snapdragon 835 clocked at 2.35 GHz. GPU – Mali-G71 MP20 or Adreno 540. Rear camera- Dual 12 MP Camera With ( f/1.7 aperture, the second lens with f/2.4 aperture, AF), OIS, autofocus, 4K Videos. Front camera- 8 MP Selfie camera with f/1.7 aperture, Autofocus, Auto HDR. Security options- Fingerprint scanner, Iris Scanner. Price – Rs 56,900 or US $ 900. Perfection redefined – I am a huge fan of both Google and Apple for a straightforward reason these companies make magnificent products which not only meet consumer need but go one step ahead and tell consumer’s that this is something great and you can use it much better, faster and more comfortable in this way. 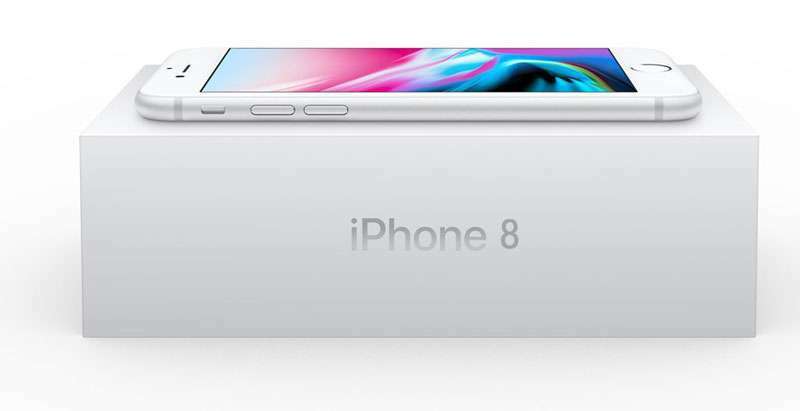 Apple iPhone 8 and 8 Plus are both epitomai of quality, even if you are a die-hard Android fan you will still love the ease of using an Apple product and appreciate the well-thought design, software and hardware integration. The iPhone 8 and 8 Plus looks similar to the iPhone 7 and 7 plus but now comes with toughened glass back compared to the metallic surface on the 7 series. Apple iPhone 8 is powered by Powered by swift 64 bit A-11 Bionic processor which is fastest in the world in single core and multi-core performance. The iPhone 8 and 8 Plus supports wireless charging which was not present in the previous generation. The iPhone 8 comes with a single 12 MP iSight camera, with True Tone Flash, a f/1.8 aperture can click stunning photographs. Moreveover, the 8 Plus comes with Dual 12 MP camera with one standard lens and a telephoto lens. The Apple iPhone 8 is a true flagship and is beyond specs, as the experience it offers is unmatched. iPhone 8 Plus comes with 5.5 inches Full HD Display (1920*1080) while the iPhone 8 comes with a 4.7 Inch Display with 1344*750 pixels resolution. Camera – 12 MP Rear camera and a 7 MP Front camera. Storage – 64 GB / 128 GB onboard storage, non-expandable. Battery Capacity – Same as iPhone 7, offers fast Charging support. Apple iPhone 8 is priced at Rs. 62,000, and the iPhone 8 Plus is priced at Rs. 69,999. Apple has also launched the iPhone X which is priced at Rs. 89,000, and I have not added the iPhone X to this list yet. Related – iPhone X is great, but beyond my Reach, iPhone 8 Plus has the Best Camera: DXO Mark. Apple, Cupertino based tech giant unveiled two of their phones iPhone 7 & iPhone 7 plus on the 7th of September. It is available for sale from 7th October in India. The iPhone 7 is a good upgrade if you are an Apple user and invested in the iOS of things. The iPhone 7 comes with waterproof, dust protection with IP67 certification. It is housed with Apple A10 Fusion chipset with a quad-core processor. The traditional home button no more is a physical button but sends feedback using a tactical Engine. The cameras got upgraded, and there is a better battery compared to the iPhone 6s. The 3.5 mm audio jack is left out, but you get the stereo speakers at the bottom, a first for any iPhone ever made. Read – Comparison of iPhone 7 Vs. iPhone 8 or iPhone 7 Plus Vs. iPhone 8 Plus. Samsung Galaxy S8 Plus was also launched in March 2017. The phone feature a screen size of 6.20 inches with a resolution of 2960*1449 pixels at a PPI of 529. The Samsung S8 Plus comes with a bezel-less display similar to the Samsung S8 and the Samsung Galaxy Note 8. It has a bigger display compared to the Samsung S8, while Note 8 comes with a 6.3 Inch display. The Samsung S8 also offers great battery life (3500 mAH) as it has more capacity compared to the Note 8. Samsung S8 plus price in India starts from Rs. 64,900. The phone is powered by 2.35 GHz Octa-core Samsung Exynos 8895 processor coupled with 4/6 GB of RAM. The phone comes with 64G/128 GB of internal storage. It is better to buy the 6 GB Ram / 128 GB storage version. Lg has launched the LG V30+ back in September in South Korea, and now the company has made it available in many other countries including India. The LG V30+ is available on Amazon and will go on sale starting 18th December 2017. The LG V30+ comes with a 5.99 Inch Bezel-less OLED Display with QHD+ resolution. The phone offers features like 32 Bit HIFI Audio DAC, wireless charging and is also water and dust resistant (comes with IP 68 rating). Moreover, the V30+ comes with the fastest processor Qualcomm Snapdragon 835 clocked at 2.45 GHz and also has the Adreno 540 for taking care of graphics and games. The Key highlight of the LG V30+ is its Dual rear camera which comes with 1 wide angle lens (16 MP) and 1 standard lens (13 MP). In fact, the camera on the V30+ comes with the worlds largest aperture smartphone camera lens with f/1.6 aperture size. (Good for taking low light images). The LG V30+ boasts of face recognition technology like on the Oneplus 5 and also has a fingerprint scanner which rests on the back side. There have been reports of lifeless OLED display which can be a deal breaker for many. GPU – Adreno 540 for Graphics. Protection- Corning Gorilla Glass 5 Protection, 83% Screen to Body Ratio. Ram: 4 GB LPDDR4 RAM. Storage Capacity – 128 GB UFS 2, Micro-sd card support (up to 2TB). Rear camera: Dual Lens – 16 MP Standard Angle (F/1.6 aperture) and 13 MP Wide Angle lens (120 degrees) with F1.9 aperture. Front Camera: 5 MP Wide Angle lens with 90 degrees and F/ 2.2 aperture. Battery Capacity: 3,300 mAh with Qnovo technology (wireless) and Qualcomm Quick Charge 3.0 for Fast charging. Operating System: Android 7.1.2 Nougat with the LG UX 6.0, will also get Android Oreo 8 update. Colours: Aurora Black, Cloud Silver (available in India) – Moroccan Blue, Lavender Violet (not available in India). Also Supports – Google Day Dream VR, Voice & Face Recognition. Fingerprint Scanner – True at the back. Read More About the LG V30+ Here or its key rival OnePlus 5T. The only flagship smartphone with a 4K Display with an incredible 806 PPI (world’s highest), twice of iPhone 6s plus. The display also features the Triluminos display and X-Reality Engine from Sony which makes it superior. The Sony Xperia XZ Premium is powered by the Qualcomm Snapdragon 835 processor clocked at 2.3 GHz and comes with the Adreno 540 GPU. The key highlight of the XZ premium is it’s 19 Megapixel rear camera which comes with predictive imaging technology; the phone can capture 4 images even before the photo is clicked to help you choose the best shot. The XZ Premium runs on the latest Android Version Nougat 7.1 and will be one of the earliest Sony mobiles to get the Android 8.0 Oreo update. It comes with Hi-Res Audio and Digital Noise Cancelling support. The Sony Xperia XZ Premium comes with 3230 mAH battery which is more than enough to run the phone for an entire day. The XZ premium is IP68 certified – dust proof and water resistant over 1.5 meters and 30 minutes. Screen- 5.5 Inch 4K Display with 3840 x 2160 Pixels resolution and 801 PPI. Processor- Qualcomm Snapdragon 835 clocked at 2.45 GHz. Storage- 64 GB expandable to 256 GB using a Hybrid Slot. Rear camera- 19 MP, f/2.0 aperture, LED flash, 960 FPS super Slow Motion. 4K videos. Battery- 3230 mAh with fast charging. Security options- Fingerprint scanner at the right edge power button. IP 68 Rating – Yes (Water and Dustproof). Price – Rs 59,900 or US $ 750. ‘The best Android Mobile’ is the way Google introduced the pixel phones to the world. The pixel line-up is out there to rival the Apple iPhone and Samsung top of the line devices. Back then I wrote How Google is becoming Apple with the New Pixel smartphones. The Pixel brings best of camera experience, a unique design and the latest Android Oreo 8.0 with Google Assist. The Hardware is top notch with Snapdragon 835 and 4 GB RAM to ensure fluid experience. It is one of the best Android Phone I would buy if Money is not the consideration. However, the Pixel 2 lacks 18:9 aspect ratio which is a bummer. 5 inch AMOLED capacitive touch display, 16:9 Aspect Ratio. Offers 1920 x 1080 pixels resolution at 441-pixel density. Octa-Core processor clocked at 2.35 GHz speed. Adreno 540 GPU for graphics handling. 64/128 GB internal storage with no SD card support. 12.3 MP rear camera at f/1.8 aperture with EIS(Gyroscope based), dual phase detection, OIS, and Dual-LED (Dual-tone) flash. Support for Portrait Mode, DXO Mark Score of 98. 8 MP front camera at f/2.4 aperture, fixed focus, 1080p recording. USB Type C port reversible connector. The fingerprint sensor on the rear panel. Lacks 3.5 mm headphone jack. Non-removable 2700 Li-ion mAh battery. 6.0 inch pOLED QHD+ Display, with 2880 x 1440 Pixels. Octa-Core with a max clock speed of 2.35 GHz speed. 64/128 GB internal storage, lacks SD card support. Non-removable 3550 mAH, Li-ion mAh battery. Samsung S9 and S9 plus are the latest addition to this list and are the most advanced phones when it comes to camera and performance. Both the S9 and S9 Plus are powered by the Exynos 9810 Octa-Core processor that is significantly faster in comparison to the Snapdragon 835 used in most other phones. In the US you can buy the S9/S9+ with SD 845, however, in India, it comes only with the Exynos processor. Moreover, the biggest difference between the Samsung S8 and S9 is the variable aperture camera at the back that comes with an f/1.5 aperture for clicking extremely detailed images in any light conditions. Also, Samsung S9 and S9+ come with a stereo speaker that is way superior to the S8 or the S7. Processor – Exynos 9810 Octa-Core (India) or the Qualcomm Snapdragon 845 (USA). GPU – Mali-G72 MP18 – EMEA (India)- Adreno 630 – USA & China. Rear Camera –Dual 12 MP + 12MP camera with variable f/1.5 – f/2.4 aperture, phase detection autofocus, OIS, LED flash. 4K Video Recording, Also, can record 960 FPS slow motion. Screen Size – 6.2 inches with QHD+ (2960*1440), 529 PPI. Operating System – Samsung Experience OS along with Oreo 8.0. Battery Capacity – Non-removable – 3500 mAh capacity. Supports – Fast Charging, Wireless Charging. Audio Jack – 3.5 mm. 5.8 Inch with QHD+ (2960*1440), 570 PPI. Rear Camera – Single 12 MP camera with f/1.5 -f/2.4 aperture. Price Rs. 54,900 for 64 GB Storage version. Huawei P20 Pro is world’s first smartphone to feature not one, not two, but 3 camera lenses at the back. Also, it comes with a unique twilight dual color design which sets it apart from other flagship phones. Powering the device is a Hisilicon Kirin 970 processor and a whopping 4000 mAh battery, it runs on Android 8.1 Oreo. 40-megapixel Leica triple camera boasting of 5X Hybrid Zoom is certainly some compelling camera specs a phone can offer today, and Huawei P20 Pro does that. It is the highest rated camera phone on the DXO mark with an overall score of 109 which puts it ahead of the rivals like Pixel 2 Xl, S9+, and the iPhone X. A totally new kind of color scheme and a notch inspired from the iPhone X separates it from the rest of the crowd. Priced at Rs. 64,999 in India, this phone with a 6.1-inch AMOLED display falls in top-tier flagship category among the likes of Samsung Galaxy S9, S9+ and iPhone 8. LG has launched the new V40 ThinQ in the Indian market in January 2019, and the mobile is available to purchase from Amazon.in for Rs. 49,999. The V40 ThinQ is available only in a single variant that comes with 6 GB ram and has 128 GB internal storage. The key highlight of the V40 ThinQ is its O-LED display with 6.4 Inch screen and an impressive 1440 x 3120-pixel resolution. Apart from having a stunning display, the phone boasts of 5 cameras (3 at the back and 2 at the front). The rear cameras include 16+12+12 MP sensors with AI and OIS support. The front cameras use (8+5MP) lenses and have support for portrait mode with excellent background blurring. Another, key feature for the LG V40 ThinQ is the presence of the fantastic speaker and Quad-Dac, a feature many audiophiles will love. Processor – Octa-Core Qualcomm Snapdragon 845 with 2.8 GHz maximum Clock Speed. Triple Rear Camera –16MP (Wide Angle) + 12 MP (telephoto) + 12 MP standard camera with max aperture f/1.5, phase detection autofocus, OIS, LED flash. 4K Video Recording at 60 FPS, Also, can record 240 FPS slow motion. HDR 10 Video Recording Support. Screen Size – (3120 x 1440, including notch); 538 ppi. 19.5:9 aspect ratio and 84.3% screen to body ratio. Dual Sim – Yes, Hybrid Sim Slot. Operating System – LG UX 7.1 OS along with Oreo 8.1. upgradable to Android Pie. Storage – 128 GB internal Storage – expandable to 2 TB. Battery Capacity – Non-removable – 3300 mAh capacity. Supports – Fast Charging, Wireless Charging. Sound – 32-Bit Hi-Fi Quad Dac, Superior Audio Speaker. The LG V40 ThinQ is a great device, however, the major concerns are smaller 3300 mAH battery, which may not be the best in the class. Secondly, the LG UX is no match for the rival OnePlus Oxygen Os. Also, the phone misses on features like in-display fingerprint scanner but have several advantages over the 6T such as wireless charging, better display, better sound, and slightly better cameras. Huawei’s latest affordable flagship Honor View 20 is now gone on sale in India and is exclusively available from Amazon India for a price of Rs. 37,999 for the 6 GB Ram and 128 GB storage version. It is the first phone in the market that comes with the new punch hole display. The front camera is located on the top left corner instead of the usual center placement in most other devices. The phone has got a stunning display with nearly 92% screen to body ratio and comes with a fiery performance, all thanks to the new Kirin 980 processor. GPU – Mali G76 MP10. Display: 6.4 Inch FHD+ display with (1080×2310 pixels resolution) Offers 19.5:9 aspect ratio, Punch Hole Display (~401 PPI). OS: Android OS, v9.0 (Pie), EMUI 9.0 Huawei Custom Skin. Storage: 128 GB / 256 GB internal storage, expandable up to 2 TB via hybrid Micro-SD Card. Rear Camera: Dual Rear Cameras (48 MP + TOF 3D camera), f/1.8 aperture, Uses Sony IMX 586 sensor, 4K Videos, 960 FPS Slow-Mo. Front Camera: 25 Megapixel Punch Hole Camera. Battery Capacity: Non-removable Li-ion 4000 mAH battery. 22 Watts Fast Charger. Dust and Waterproof – No. Corning Gorilla Glass – No. It uses Aluminosilicate glass for protection. Dual Sim 4G VOLTE Support. Fingerprint sensor: Yes at the back of the device. USB Type C Port / NFC support- Yes. The Honor View 20 is new arrival and has a superior processor in comparison to the more expensive Huawei P20 Pro. However, the P20 Pro looks much better and has the best camera on any smartphone. In comparison to the OnePlus 6T, View 20 lacks the refined software experience and the in-display fingerprint scanner. The View 20 comes with the headphone jack while the Oneplus 6T uses the USB type C port. I think at the current point of time the 6 best smartphones in the market are Samsung S9/S9+, Samsung Note 8, Google Pixel 2 XL, OnePlus 6T and the LG G7+Thin Q and the iPhone 8 Plus. The iPhone X, XR, Xs, and the Xs Max are a great option but is considerably more expensive than any other phones on this list. Even the Samsung Galaxy Note 9 and the Pixel 3, Pixel 3 XL are way above our threshold of 50k. iPhone 8 Plus is currently priced close to 64 for 64 GB variant while the Samsung S9+ is 64k. Now if you compare specs alone Samsung S9+ wins hands down with 2k display, expandable storage, a much better camera, and an incredible design. I don’t think it is a comparison of specs when you compare anything with iPhone because the iOS uses resources differently compared to Android. Android is an open platform and has so many devices from low end to high end running on it, while iOS has only Apple devices, best optimized for it. No amount of camera tests or speed tests, benchmarks will convince you one way or the other. (some places Apple will win and other places Samsung). Add Google Pixel 2 to this equation, and you have three perfect phones. The Pixel offers slightly better camera performance in comparison to the S9, though is not as immaculate and stunning as the S9. Pixel comes with the stock Android experience and will continue to get the latest OS from Google which is a key advantage. What it boils down to is whether you want to experience iOS or you want to have the Android experience. All three are great phones, you are buying the ultimate devices in the market and can’t go wrong. But then it is your choice about the ecosystem (Android vs iOS) which you want to use. I would say if you are Android or iOS user and happy with the current state, stay with it. Also, if you are restricting your budget to 40k, the Oneplus 6T and the LG G7+ ThinQ are great choices. The recent addition of the V40 ThinQ also makes it interesting as the device has several plus points over the rivals. 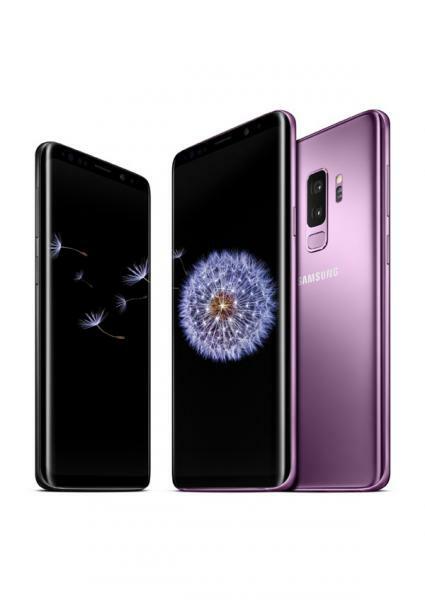 Lastly, if you are not too concerned about spending a little higher the ultimate choice is to own a Samsung S9+, Samsung Note 8, Google Pixel 2 XL or the iPhone Xs. It is beyond the scope of this article to discuss in depth phones above Rs. 50,000. 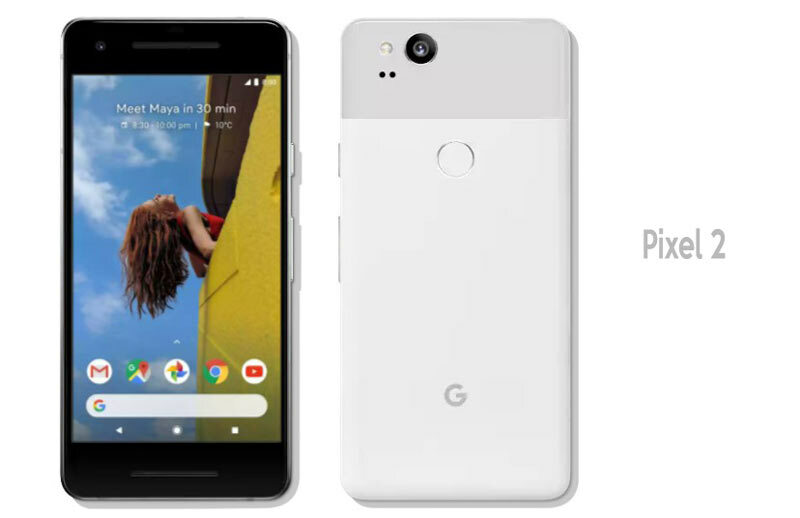 I am linking to my articles of these phones so it can help you to make the right purchase decision – Pixel 3, Pixel 3 XL, iPhone Xs, XR, Xs Max. 10 Great Mobiles Priced under Rs 40000.